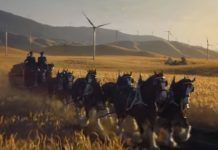 Last year, Lloyds Bank celebrated its 250th anniversary with a commercial featuring the iconic black horse. It was beautifully done and touching. Now the British bank is at it again with its For Your Next Step campaign. While an instrumental version of Tears for Fears’ “Mad World” plays in the background, the iconic black horse gallops through a maternity ward where a new mother is reaching out for her newborn, then through a busy street where a man is asking his partner to marry him. The horse gallops past a funeral, a child’s first day of school and a carnival where a young couple is about to experience their first kiss. The iconic black horse is there through our major life steps. 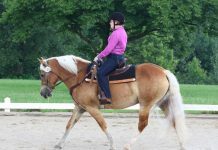 And for many of us, that next step will include our horses. Who knew a commercial for water could be so beautiful? 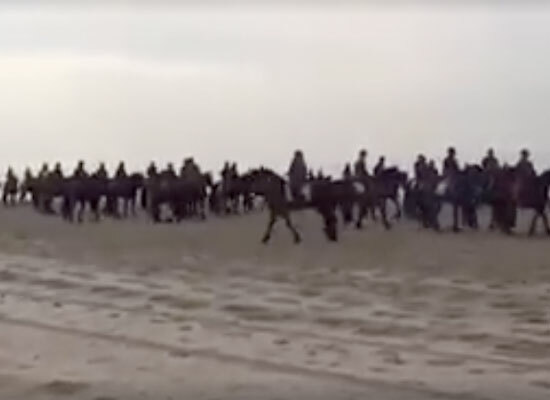 If you’re a fan of Friesian horses, we’ve found your personal heaven. Didn’t see the videos yet, but will check them out. Great super back lighting of the horse. Fantastic super imposing of the horse in the video, love it! 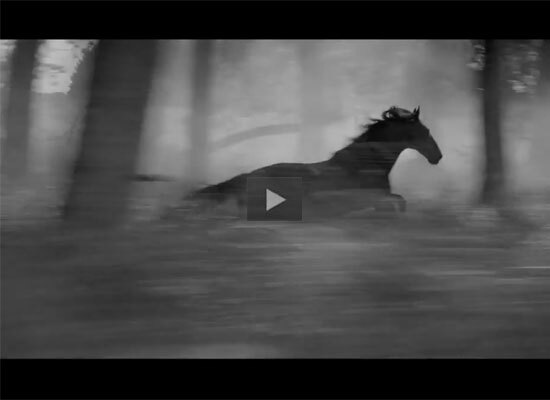 WOW what beautiful film editing to get the horse in the background, and the animation of the slow motion of his moves!